Report Looks At Adolescent Health And Causes Of Death, From Road Accidents To Suicide To Drowning : Goats and Soda Teenagers are an overlooked group when it comes to global health. A new report offers often surprising insights into the threats to their health and well-being. Children wade in a flooded street last June in Leiyang, China. The leading cause of death among teenagers in the U.S. is road accidents — killing nearly 5,000 American kids between the ages of 10 and 19 in 2013. Suicide also emerges as a risk when puberty hits — affecting more than 5,000 teens and early 20-somethings in the United States alone in 2013. In Latin America and Mexico, homicide kills the most young adults between the ages of 20 and 24, while in sub-Saharan Africa, HIV/AIDS kills the largest number. And in China, drowning tops the list of causes of teenage death. These grim statistics come from a new interest in the health concerns of young people, which have long been overlooked and understudied, says George Patton, an adolescent health researcher at the University of Melbourne in Australia. He and colleagues looked at a massive amount of data — from the Global Burden of Disease project led by the Institute for Health Metrics and Evaluation at the University of Washington, Seattle. Their aim was to document the biggest risks young people face between the ages of 10 and 24, an age group that includes 1.8 billion people and makes up a quarter of the world's population. The report, published this week in the Lancet, broke down results by country, offering an illuminating look at how risks differ for adolescents in different parts of the world and what kind of steps are needed to help kids reach adulthood safely. Patton spoke with Goats and Soda about the challenges young people face around the world and how investing in adolescents is investing in the future. We've seen tremendous improvements in the health of younger children — huge declines in mortality in children under 5, declines of 80 percent in the last 15 years. For the adolescent age group, declines have been minimal and where they have occurred, they have been modest. This was an attempt to put together a more complete picture of what we know and also come up with some recommendations for how we should be responding to the health and well-being of the world's 10- to 24-year-olds. Why do young people in the years around teenage-dom need their own health category? In terms of health and well-being, it's a time of tremendous change. Puberty initiates a cascade of hormonal changes, which trigger a new round of growth and brain development. Essentially, what we see is the younger adolescent beginning to engage with his or her external world beyond the family and immediate community in a very different way. The peer group becomes important, and problems of health become related to emotions and emotional control. Mental health problems, injury problems and substance abuse problems increase. It sounds as if adolescence is completely unlike the ages before or after from a medical standpoint. This is so totally true. It's true of the health problems. It's true of the health risks. We also examine during these years changing patterns of obesity, which has become a global pandemic. Looking at this age group in all countries, there are rising rates of overweight and obesity. And this age group is critical because if you develop a problem with obesity in these years, you're likely to have it for the rest of your life. So the choices teenagers make can end up having health consequences into adulthood? What kind of big picture messages do you see in this data? One is that we need to take a broader lens to adolescent health. We've tended to think mostly about sexual and reproductive health, and that's where we've made investments in services, but it's much, much more than that. Second, patterns in adolescent health vary hugely across the planet, and two-thirds of the world's adolescents are facing preventable health problems, like injuries, violence, infectious disease and problems of poverty on a daily basis. How can we help the world's adolescents live healthier lives? One of the best investments we can make is secondary education. It's hugely protective. We've taken analyses of adolescent birth rates, and it's very clear: If you keep a girl in school until lower secondary, you reduce adolescent birth rates by 48 per 1,000 girls per year. If you keep girls in school through upper secondary, or 12 years of education, you reduce adolescent birth rates by 68 per 1,000 girls per year. These are huge reductions. Why are such a large proportion of adolescents dying from drowning in China? 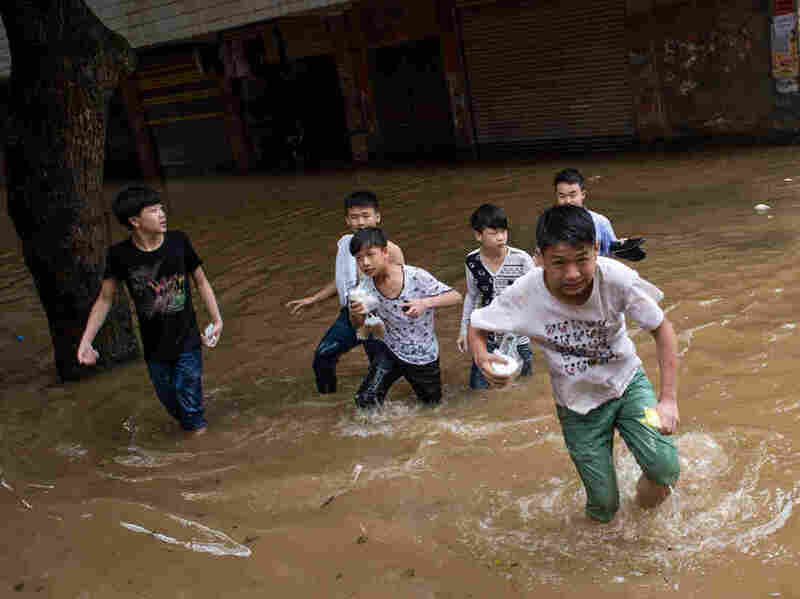 China has a significant problem with flooding. China and India together account for probably 40 percent of the world's 372,000 deaths due to drowning, more for younger kids and more for males than for females. [According to WHO, riskier behavior among males and lapses in supervision help explain those patterns.] The solution is about flood control and protection. That's an example of the power of doing [analyses like these]. This report is bringing visibility to the health problems of an age group we've really overlooked. Can adolescents be part of the solution? One of the things we really emphasize in the report is the importance of engaging young people. As we have a generation spending a longer time in education, who are more articulate, we have a strong message about making sure they are active participants — partners if you like — in the solutions we are proposing. What does the future hold for the next generation of youth? Globalization, migration on a mass scale, climate change, digital media: these are the kinds of things shaping the social world of this generation. Now is the time to be putting policies, practices and investments in place around the health and well-being of this generation.